READY FOR A NIGHT OF BUSINESS BREAKTHROUGHS, LASTING CONNECTIONS AND AWESOME FOOD AND DRINKS? JOIN US on April 26th at Abigael’s on Broadway! The conferences you attend should change too. You don’t need to waste any time listening to how someone built a profitable Amazon business because you already did that! WHERE ARE THE SELLERS LIKE YOU? Where are the experts that understand your business? We’re in Seattle in April and we want to interact with you in person. THE SELLER VELOCITY CONFERENCE IS FOR ADVANCED SELLERS WHO WANT TO TAKE THEIR BUSINESS TO THE NEXT LEVEL. NOW THAT YOU’VE SUCCEEDED ON AMAZON, YOU NEED ACCESS TO THE BEST WAYS TO PROTECT AND GROW YOUR BUSINESS. and how to stop the states from going after you to pay Amazon’s taxes. YOU NEED TO STAY AHEAD OF YOUR COMPETITION. And what better way to do that than to get the best sellers in a room with the top Amazon experts? 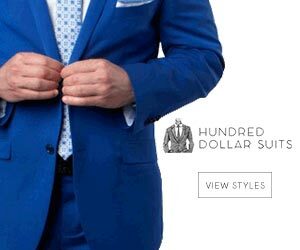 2:00pm- 5:00pm one-on-one consults with the best minds in the business! Grab your 30-minute session, before the main event by purchasing a VIP ticket! 5:00pm- 6:00pm Happy Hour Networking Session: Advanced sellers meet and talk! 8:00pm-8:30pm Legal Panel: Vern Francissen and Casey Vaughn– How to Respond to Infringement Claims the Right Way. Talk shop, get to know your fellow Sellers and industry experts. This is your time to work the room and connect with your people. Chris McCabe knows Amazon from the inside, out. He used to work for the company for many years evaluating seller account performance and enforcing Amazon’s policies. After leaving Amazon, he became a consultant and launched ecommerceChris where he teaches sellers how to think like Amazon, protect their accounts, and appeal listing restrictions and suspensions. How Amazon internal teams review and dissect, and ultimately accept or reject seller appeals, will focus on ASIN listing blocks and how to prevent an overall account suspension. I’ll delve into the best ways to respond to Performance Notifications, and what to do next if they ever ask for “more information” or even if you get rejected. Proper format of a viable Plan of Action and what’s necessary to write in an escalation letter all will be included. Bernie Thompson runs an 8-figure private label business, founded the Amazon tools company Efficient Era, and is the author of the book Flywheels and Feedback Loops: A Guide to Success for Private Label Sellers. Vern Francissen is an IP attorney with over 20 years of experience in prosecuting, litigating and counseling in patent and trademark matters. Vern was lead patent counsel at Microsoft to the Chief Software Architect as well as the business groups for mice and keyboards, Surface, Hotmail and OneDrive. Vern holds a J.D. from the University of Wisconsin, a BS in Electrical Engineering from the University of Illinois at Urbana-Champaign, and an MS in Electrical Engineering from the Illinois Institute of Technology. Vern is a registered patent attorney with the US Patent and Trademark Office and an active member of the California and Illinois bars. IP issues are an increasing challenge for online merchants. The facts and process involved in IP infringement claims can be complex and daunting. Experienced counsel can help you assess the risks, navigate the landscape of e-commerce IP issues, and develop pragmatic business solutions. We will discuss practical issues to consider when responding to an infringement claim. Paul Rafelson is a tax attorney representing online merchants. Prior to advising online merchants, Paul spent over 12 years defending Fortune 100 companies in complex state tax litigation matters, spending most of his career as in-house tax counsel for Microsoft, Walmart, and General Electric. Paul is also a regular presenter at national state tax and E-commerce conferences, where he speaks on a wide range of tax issues. Paul is an active member of the Florida and New Jersey Bar. Casey Vaughn formed the Vaughn Law Group after spending six years as a litigation associate at Sullivan & Cromwell LLP, the storied New York law firm. Ms. Vaughn’s practice at S&C included general commercial litigation, investigations by numerous government agencies and exchanges, and specialized work in commodities, futures, and derivatives. She worked on some of the highest-profile cases and enforcement actions stemming from the financial crisis and enjoyed every stressful minute of it. Prior to joining Sullivan & Cromwell, Ms. Vaughn worked in intellectual property enforcement at the luxury fashion house, Burberry LTD.
Michael has a long experience in Marketing and Finance with an MBA in International Taxation and with more than 7 years of experience in company formation in the US. In the past 5 years his focus has moved to Amazon, now being a well-known PPC and Amazon Scaling Expert. Michael has been speaking at International Conferences in the past three years, bringing strategic knowledge in the Amazon Business field. Moreover, he is the Managing Partner of Innoventic, a digital marketing agency with proven success in services such as Amazon Sales Acceleration, Listing Optimization, PPC Services, Design & Graphics. How can you create a product listing that attracts and converts? How can you scale up to 10.000 SKUs with a Micro Launch? Do you wanna know everything about Simultaneous Multi-Channel Fulfillment? 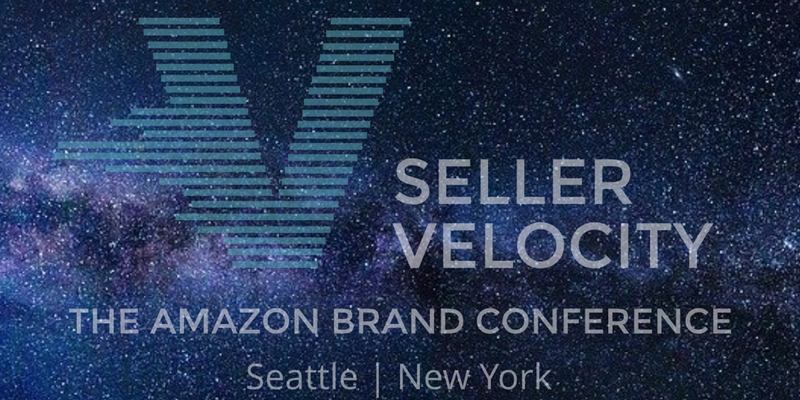 Join Michael for the Sellers Velocity Conference presentation and learn all strategic insights in order for your brand to succeed on Amazon. Besides the theoretical approach of the presentation, there will be practical insights based on real Amazon Brand evolution: starting with a brand overview, introduction to Amazon Marketplace, strategic moves for overcoming your competition and PPC strategies for an amazing sales boost.